Well, well, well. 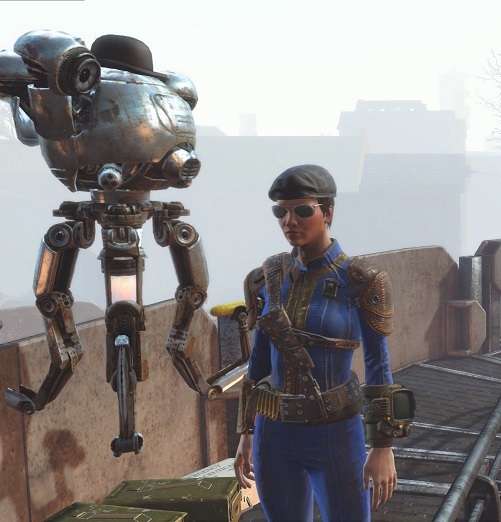 Here’s some more Alice Cooper and post-apocalyptic gaming for you from Kelly and Mel! Wait for it ….. Alice Cooper! The entire album is available on Spotify. This one’s available on PC AND all of the consoles! 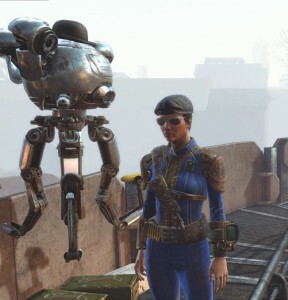 Journey through a Post Apocalyptic Wasteland with a dog named Dogmeat, and your robot butler named Codsworth. This game features a huge world to explore and possibly kill you. 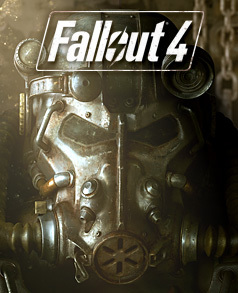 There’s lots of Crafting, Settlement building, and shooting bad guys and mutants. 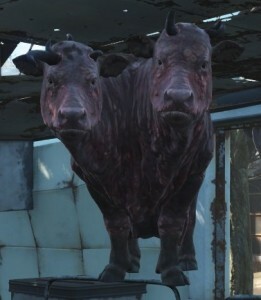 There’s also some mutant cows. They’re kinda cute. Mine likes to sleep in the house…. Tagged Alice Cooper, Bethesda, Fallout 4, Hollywood Vampires. Bookmark the permalink.